Facebook/Claire’sClaire’s is known for its teen jewellery and accessories. 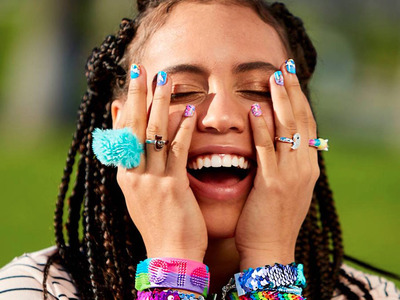 Claire’s is making plans to file for bankruptcy, according to a new Bloomberg report. The teen retailer is currently saddled with $US2 billion of debt. The chain has a big presence in malls and has been impacted by declining traffic there. Teen retailer Claire’s is planning to file for bankruptcy in the next few weeks,Bloomberg reported. The fashion accessories chain known for its iconic ear-piercing service is planning to transfer ownership from Apollo Global Management LLC to a group of lenders. The company is currently being crippled by $US2 billion of debt. Claire’s has been hit hard by declining traffic to malls, where many of its stores are located. It joins a long list of retailers that have faced these industry issues and have filed for bankruptcy in the past year. In 2017, a total of 50 US retailers filed for bankruptcy – the highest rate since the recession. More than 6,400 stores closed in 2017, and another 3,600 are expected to shutter in 2018. According to a report by Credit Suisse, this will result in 20% to 25% of malls closing in the next five years. But it’s not all doom and gloom. By filing for bankruptcy, Claire’s would be able to keep its creditors at bay while it launches a turnaround effort, according to Bloomberg. So far, no store closures have been announced.